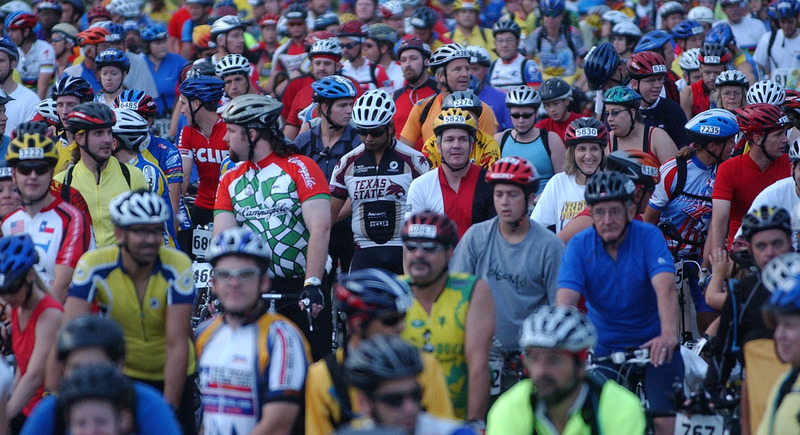 A bicycle century or 100-mile ride is not something to take lightly. The best of riders will be on their bikes for around five hours, some substantially more and to do that safely requires planning and forethought. 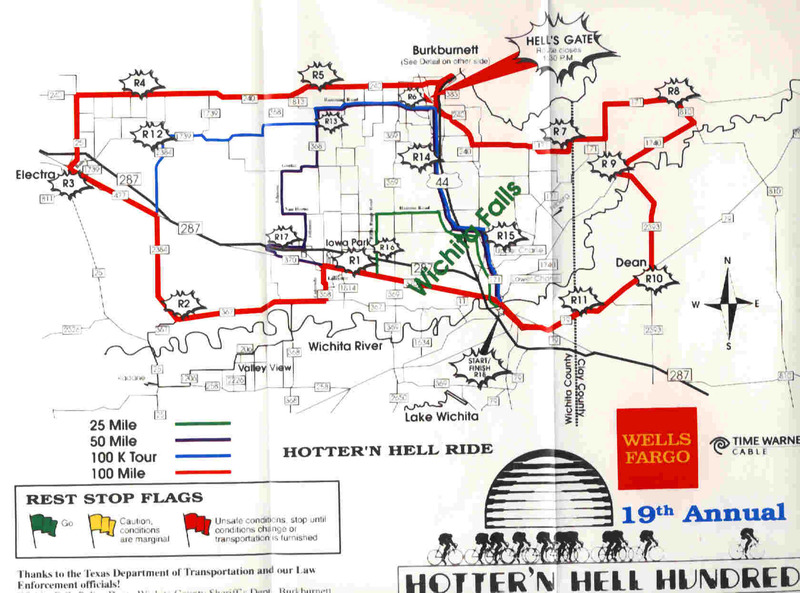 Even though this weekend’s Hotter’n Hell 100 will have over 2500 volunteers to support it’s estimated 14,000 participants, that’s still 14,000 participants. To illustrate the size of this crowd very simply, if everyone was thirsty at once, to give them all an 8 oz. glass of water would require 875 gallons. It is imperative that each and every rider do as much as possible to take care of their own needs during the days ride. 1. Clean and test camelbak for leaks, bad tastes/smells. 2. Get Clif bars, fast energy between rest stops. 3. New tires for the bike. No excuse for a flat on a century just because I was too lazy to get tires at the consumer show. 4. Ride wear is clean and ready to rock! Gotta shine in the club colors. 5. 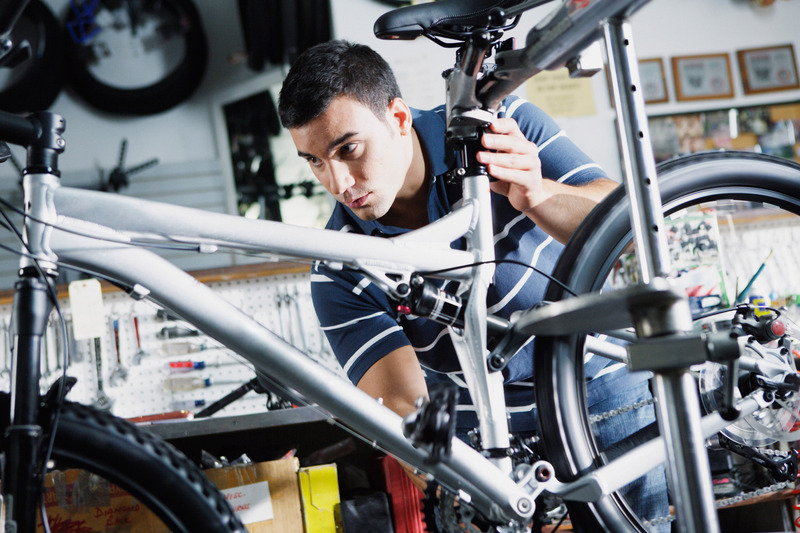 Check and recheck the derailleur adjustments, during is no time to do pre- maintenance. 6. Double check setup, seat height, etc. while there is still time for some shake out rides. An eighth of an inch over 6-7 hours makes a big difference. 7. Register and sign-in early, Thursday at 4 pm. 8. Consumer show, make sure to see some friends and visit with the vendors, get new gear while the deals are on. Tubes are $3 here, $7 and up any other time. 9. Spaghetti feed, get that grub on and carb-lload the night before. 10. Friday night 7 pm. Bikin Mike has his survival seminar, do not miss. 11. Sleep!!! Remember, you are leaving the house at 5 am. 12. Get up!!! It’s 4 am. you have to leave at 5 to make sure you get a parking spot downtown. Don’t forget to bring camelbak, clif bars, helmet, sweat band, cool socks, cycliing shoes, club gear, tire pump, bike, $10 just in case, very cool sunglasses because you will need them and looking good is awesome. 14. Remember, you are not riding 100 miles, you are riding 10 miles, getting a drink, something to eat and getting back on the bike. Lather, rinse, repeat. When they hand you the medal at the finish line, you can go home. Sometimes you just have to take the bull by the horns. On three separate occasions I have brought my road bike in for service because the front derailleur either fails to shift or drops the chain into the frame at very inopportune times. The last time I had it in I specifically told them if there was anything that was less than optimal to replace the entire set and that money was not an issue. I dropped the chain the other day and almost cut up my hand digging it out, I am done. A #1 phillips, 5mm Allen wrench and some youtube videos would give me a chance to do what my bike guy could not. Several youtubers have made excellent videos detailing the procedure to adjust the derailleurs on my specific bike, so I won’t pick one over the other, just to say there should be no problem finding a great video to fix your bike if you need to and feel confident in your abilities. Simple, direct procedures lay out the adjustment process and after watching each one a couple of times and stopping at the end of each step, got the bike fixed up in about 20 minutes. Will be test driving tomorrow morning, I am confident that the repair will work, I cannot cross my fingers in the drops but I am not going to drive to far out the first time either. As much as I like my bike guy, I will be doing my own adjustments from now on. I will buy stuff from them and will send them customers but for me, three strikes and all when it comes to my road bike. There are only 3 weeks left to the only century I am riding this year and I don’t plan on walking any of it. The woman in this video is my new inspiration to work out, she slays the burpee box jump!!! Day 14- Can You Successfully Diet On The Road? For the first time here I am going be dieting on the road, that is to say, I will be managing macros out of someone else’s kitchen for about three days. 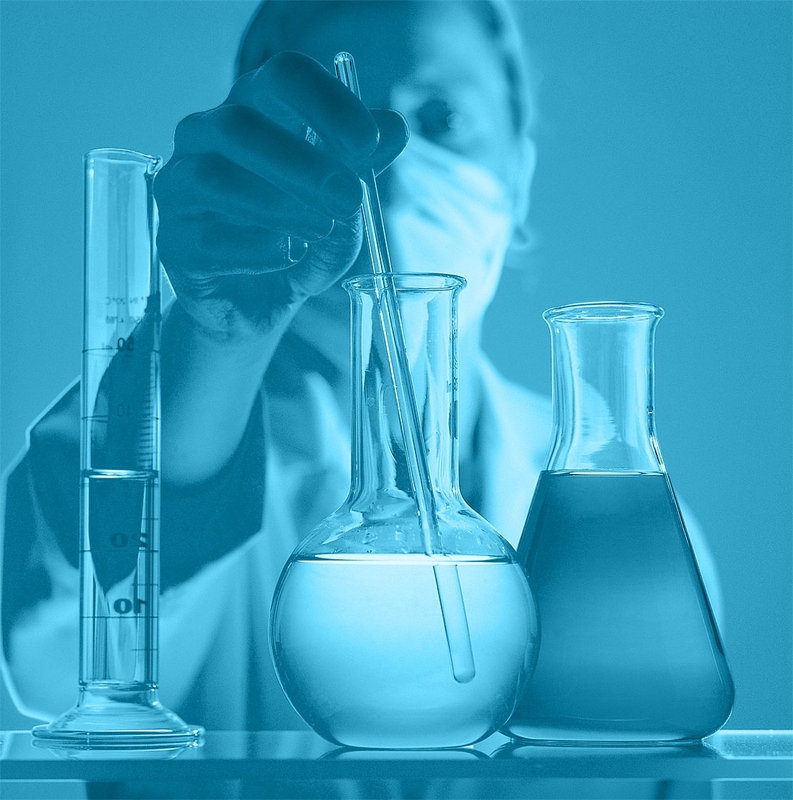 This will strain discipline mightily as our faraway friends are calorie friendly and seem to eat anything they desire without gaining an ounce. Of course he is twenty years my junior and works in a metal shop all day, he can be forgiven for not understanding that I cannot indulge without consequence. I will take my kitchen scale in case there is a need for it. Most of my shopping will be done at H.E.B.’s deli and produce sections. I can run in the morning using the 20 out, 20 back method, and substitute straight jumps for jumping rope, several days will not hurt anything but my coordination. I will continue to blog on my travel computer and that way daily reports will continue. Maybe the change of scenery will inspire some new direction. 31 days and counting! This year’s Hotter’n Hell 100 is going to be HOT!!! I have been doing a little training in the heat of the day to acclimatize myself, but honestly, you can only do so much. You cannot develop a resistance to heat stroke except by staying out of the heat. 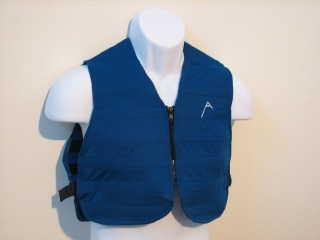 This year, as last year, I will be wearing a cooling vest made by Ti Mountain. While everyone else slaves away in 100 degree heat, I will pedal along in 80 degree comfort! Each rest stop is a ritual, water on me, water in me, get a snack and fill the camelbak. 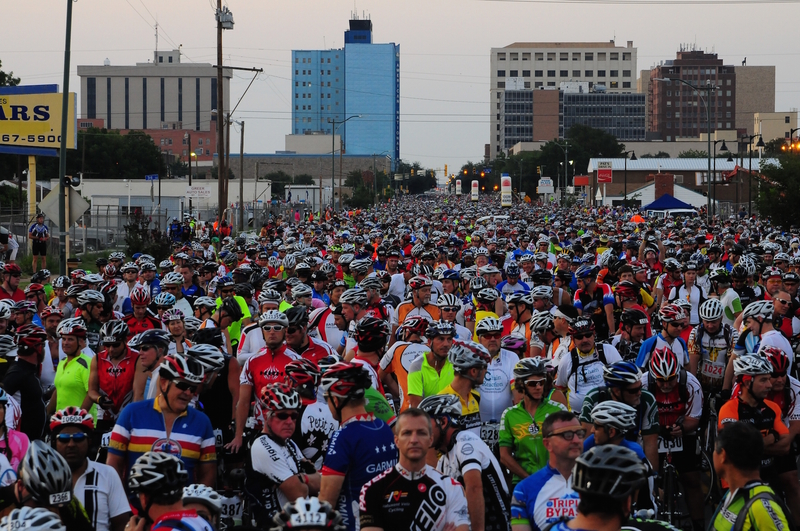 14,000 riders and 2,500 volunteers converge on Wichita Falls, Texas on August 29, 2015.